We have released a performance patch for Alpha Tracker systems. You can download and apply the update (known as SVN2203) via the Setup|System|Software Updates screen. 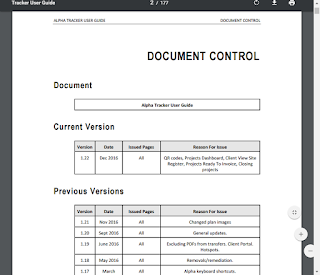 Customers with document folders containing large number of files will notice the biggest improvement in performance. This patch is also part of the upcoming Release 24 of asbestos software Alpha Tracker. 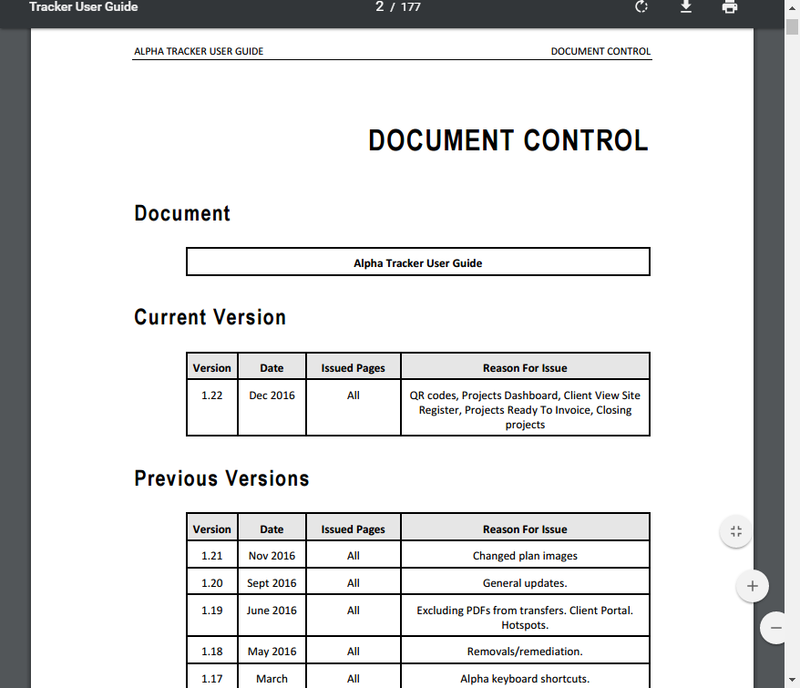 Kim has been busy updating our Alpha Tracker asbestos software manual set - the User Guide, Technical Guide and Client Portal Guide. 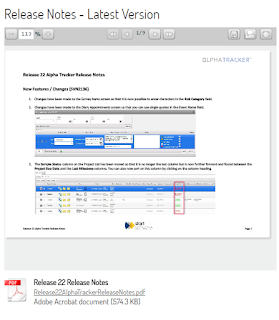 I've just posted a YouTube video summarising Release 23 of asbestos software Alpha Tracker. It's only 3 minutes long so please do watch it if you can so you know whether you should be updating to the latest release in your asbestos consultancy business. We've started Release 24 (spring 2017) so do get in touch with ideas for features you'd like to see in the next update. This year we have decided to donate to Mesothelioma UK instead of sending Christmas presents to our clients. As you know, we specialise in asbestos software and Mesothelioma UK do incredible work to support those suffering from asbestos-related diseases. There is a particularly personal connection for us this year as one of Robin’s friends and neighbours has been diagnosed with this terrible disease and is bravely fighting it as best he can. We hope you’ll support our decision to make a charitable donation this year and wish you and your friends, families and colleagues a very special Christmas and a happy & healthy New Year. 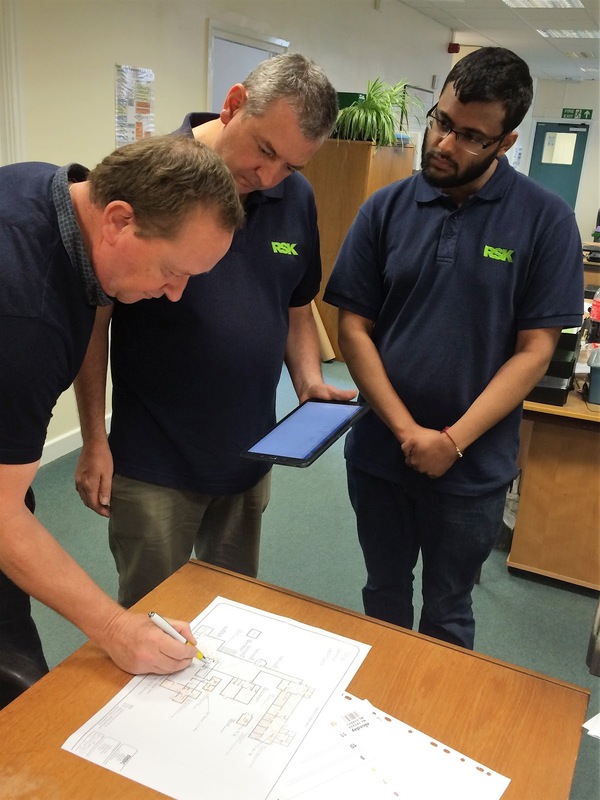 We've had a really busy week with another UK asbestos consultancy - Qualsurv - and a New Zealand environmental business - Major Consulting Group - both receiving their Alpha Tracker asbestos software training. 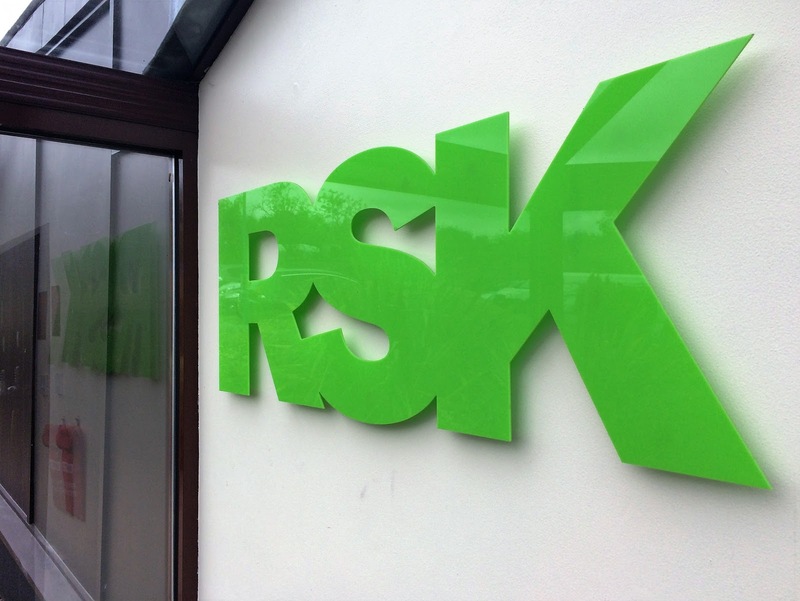 We still have some availability for installations in late February and early March so do get in touch if we can help your asbestos business to reduce admin, increase efficiency and improve productivity. Contact us via our UK website or Australian/New Zealand team. Our winter 2016 update to asbestos software Alpha Tracker is now ready and available for download. This version is known as Release 23 and is the update to our autumn 2016 release, Release 22. This update has 70 updates, new features and performance updates together with the framework for a new hazardous materials section. Keep an eye on this blog and our websites (UK and Australia/New Zealand) for the updated release notes and video next week. Another week, another new asbestos consultancy client goes live with Alpha Tracker! 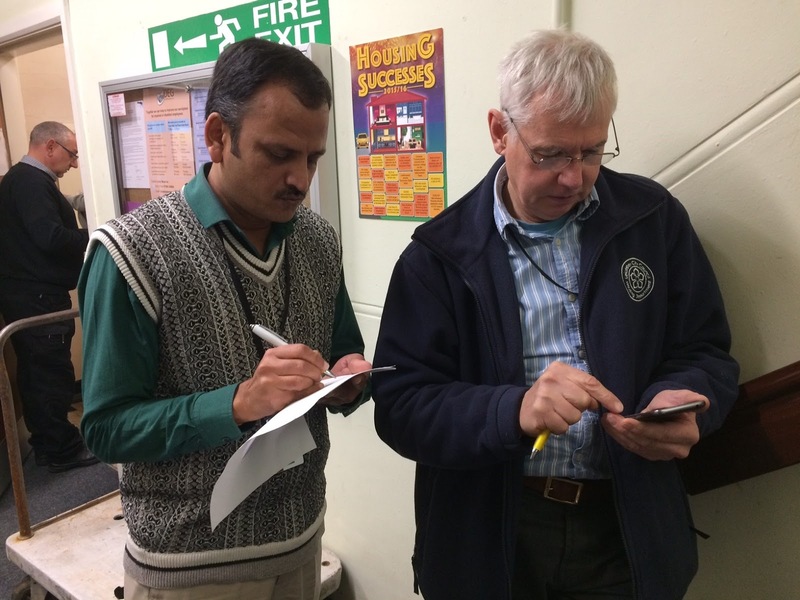 Leicester City Council's well-respected asbestos surveyors have been trained to use Alpha Tracker and site asbestos data capture system Tracker Mobile. Robin's webinar for Alpha Software "Developing Reliable Mobile Data Collection for Field Teams"
I had great fun presenting a webinar on Wednesday for Alpha Software giving the benefit of our decade of experience creating field data collection apps. If you missed the webinar and want to watch the recording yourself, here it is! 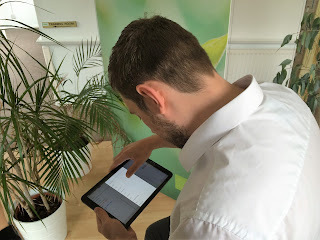 If we can help you with mobile site data collection systems, do get in touch. 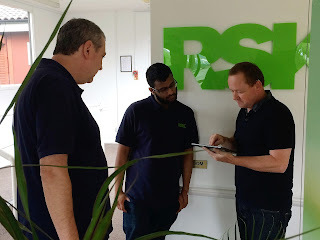 In our busiest month on the Start Software Support Desk for 6 months, the team performed well and resolved nearly 90% of the 533 calls taken on time. Jack on the support desk looking forward to Christmas! Hopefully December will be a little quieter and the team can have a well-deserved break! 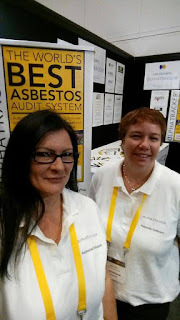 Judy & Leanne have just finished contacting all of the leads from the International Asbestos Awareness and Management Conference held this year in Adelaide. There was great interest in asbestos software Alpha Tracker and we already have firm orders from consultancies switching across to our software platform to reduce their administration and increase productivity and quality. 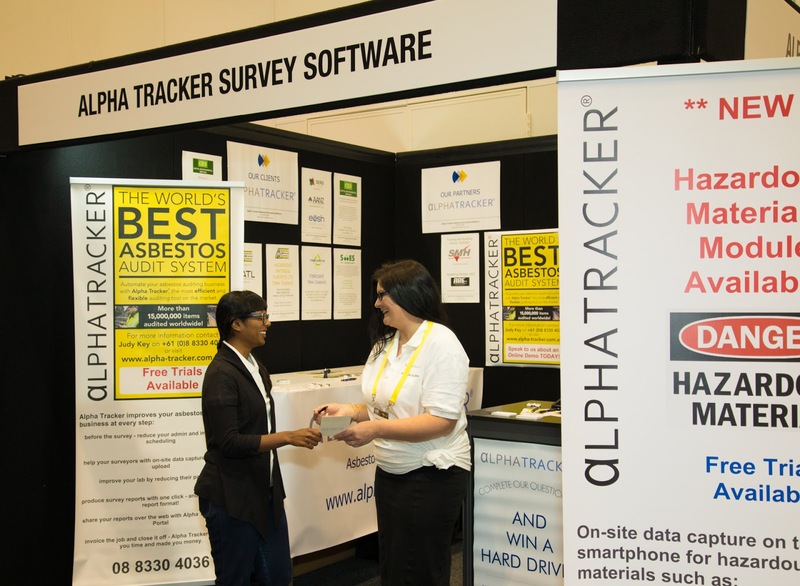 The latest version of asbestos software Alpha Tracker is being checked. 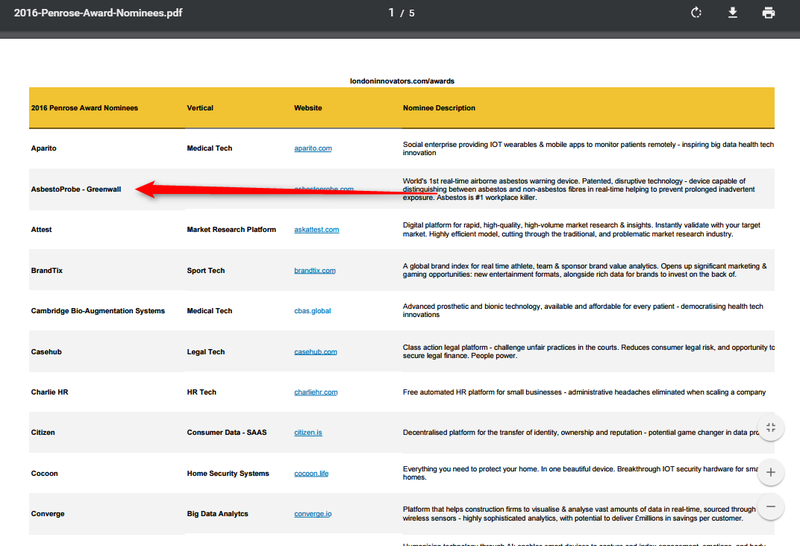 This second "release candidate" version is available now to download by our beta test customers. 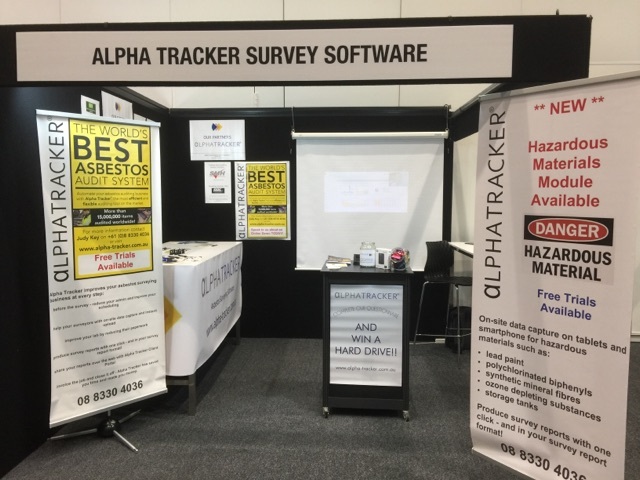 We're delighted to announce that two more asbestos consultancies (one in the UK, one in New Zealand) have received their Alpha Tracker asbestos software training and are now starting the process of going live. Green Shield Environmental (http://greenshieldenvironmental.co.uk/) and Asbestos Risk Management (http://www.asbestosriskmanagement.co.nz/) are both looking to use Alpha Tracker to reduce admin, increase productivity and improve the service they deliver to their clients. 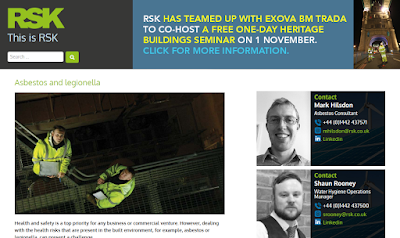 It's great to have them on board and we look forward to supporting both consultancies as they go live. 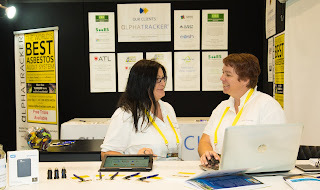 Judy and Leanne have been hard at work setting up our asbestos software Alpha Tracker stand at the International Asbestos Awareness conference in Adelaide. They're ready to meet asbestos consultancy clients old and new - come and say hello! 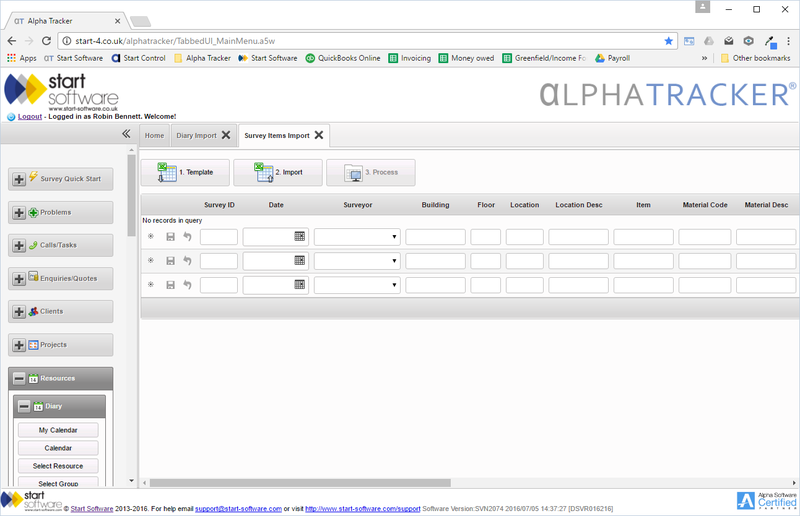 Beta 3 of our asbestos software Alpha Tracker is now available for our beta testing customers to download and install. 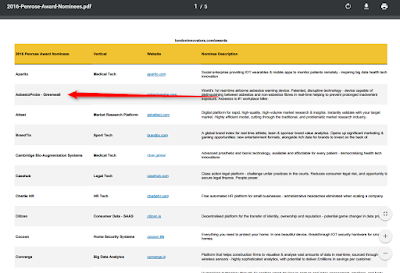 There are several improvement to data importers in this release including from alternative asbestos software products (helping customers switching from other software to import their old data). Alpha Software (creators of the awesome Alpha Anywhere software development platform) are running a series of webinars throughout the autumn and Start Software's director Robin Bennett is presenting on 30 November. With a title like that, if you have trouble sleeping it may be the webinar for you...! Start Software nominated for "Technology Firm of the Year"
One of leading publications in the building industry has nominated Start Software for their "Technology Firm of the Year" award reflecting our developments in the asbestos software market including our new Alpha Tracker app and our partnership with technology innovators Asbestoprobe. We'll await the results with interest! 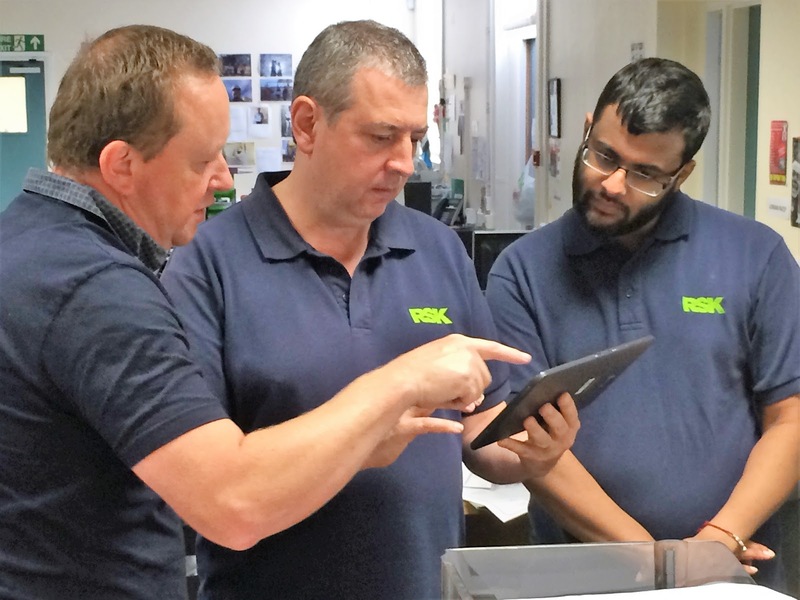 We've just had the October Start Software Support Desk stats through and the team have done well again resolving 9 out of every 10 calls for assistance within the timescale specified by the caller. This is good going especially given that it was a busy month for us with nearly 500 calls for assistance being answered by Jack and his team. 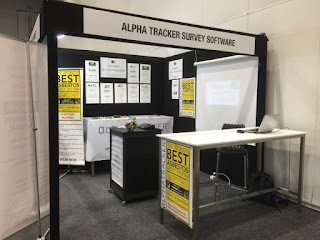 Our site asbestos software Tracker Mobile - part of the Tracker and Alpha Tracker asbestos software family - can be used alongside any floor plan or site sketching software available from the Google or Apple app stores. 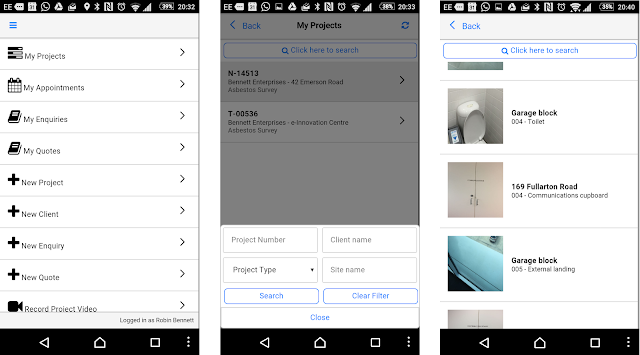 This is one of the strengths of our software - you can choose the best of the best plan software for your asbestos surveyors to use alongside Tracker Mobile. 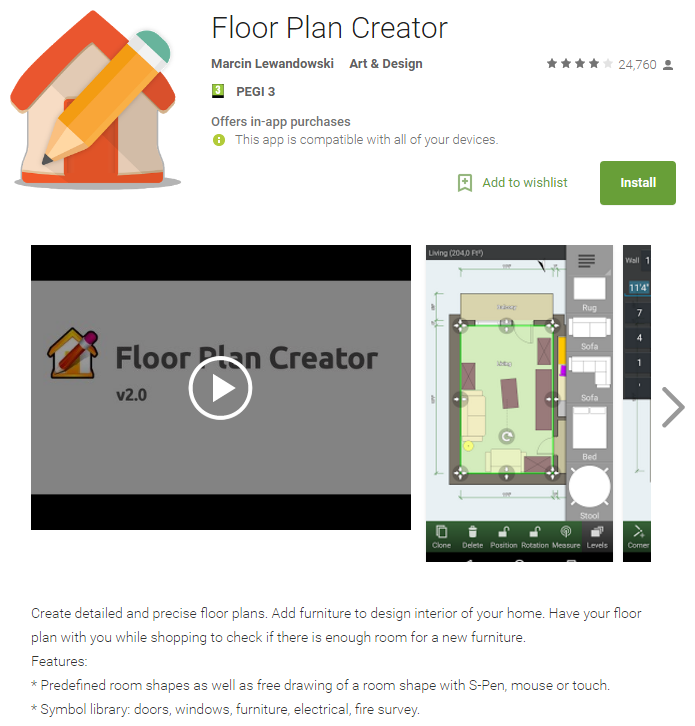 Floor Plan Creator is one of the most popular drawing programs for Android devices and it has just been updated again. 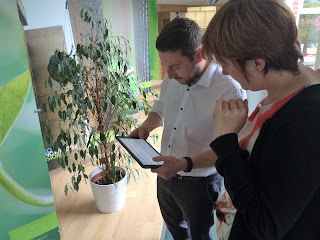 Well worth a look if you want your surveyors to be drawing live on their tablets. 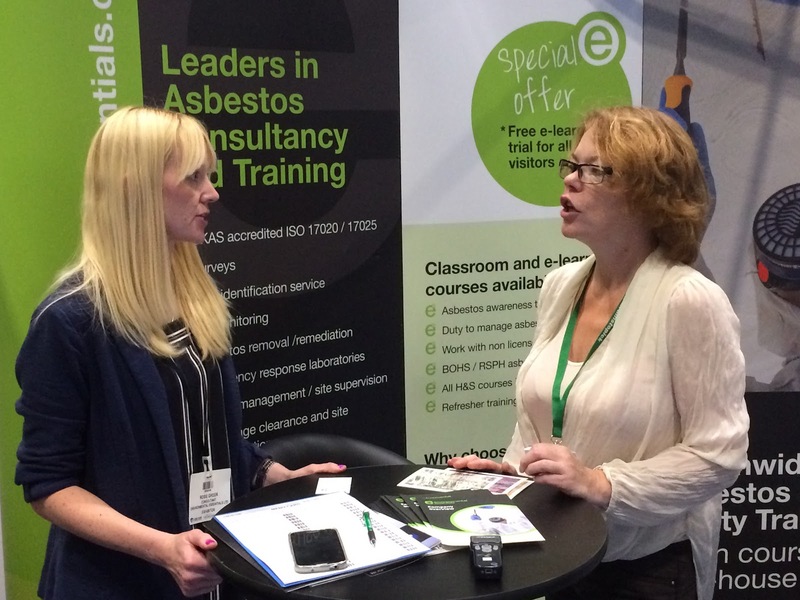 Do you run asbestos awareness training courses? Do you run other training courses? 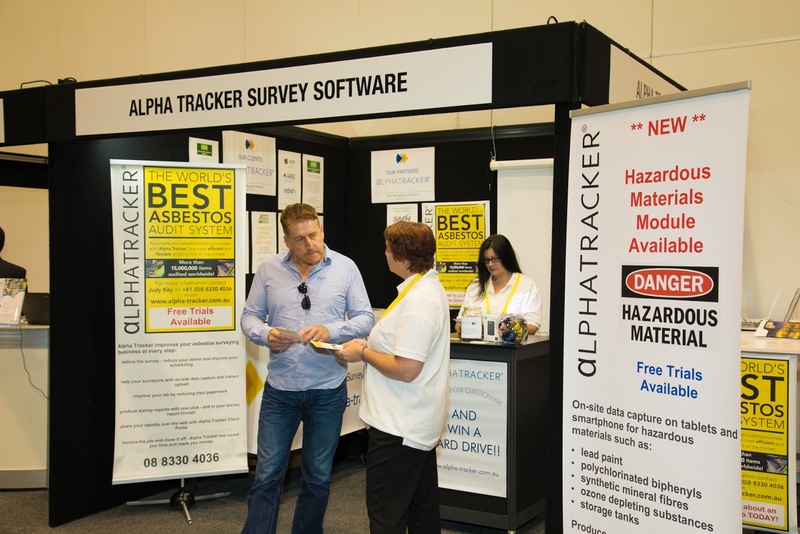 Asbestos software Alpha Tracker now has a comprehensive training module available within it. Contact Elaine for details and how to activate the module. 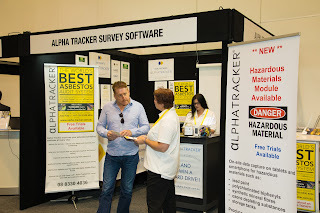 Release 23 beta 2 of asbestos software Alpha Tracker is now ready for download and testing by our beta-test users. We've improved a number of areas including adding new features enabling consultancies switching from other asbestos software to Alpha Tracker to import their existing asbestos reports and data. Please contact our support desk if you be part of our beta-testing panel. 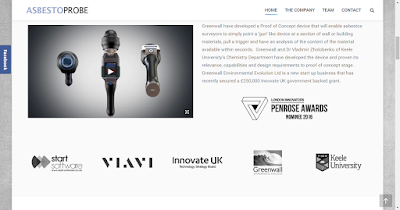 Take a look at the Asbestoprobe (www.asbestoprobe.com) website - there is a new video which explain the technology behind the project and the partners involved (including us at Start Software!). We're looking forward to helping Mark, Jeff & the team to bring this innovative asbestos detection device to market with really tight integration with asbestos software Alpha Tracker and site asbestos data collection system Tracker Mobile. Kim & Elaine were at the Contamination Expo at Excel London yesterday meeting lots of our asbestos software clients and friends in the asbestos industry. They were talking to asbestos consultancies about asbestos software Alpha Tracker and our new Alpha Tracker App. Alpha Tracker App released to Google & Apple at 10:10 on 10/10! As the final celebration of our 10 year anniversary here at Start Software we've released our new Alpha Tracker Mobile app to Google & Apple for verification. 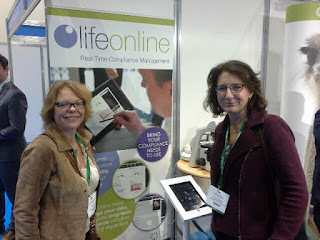 We released it at 10 minutes past 10 on the 10th day of the 10th month (thanks Elaine for the idea!). 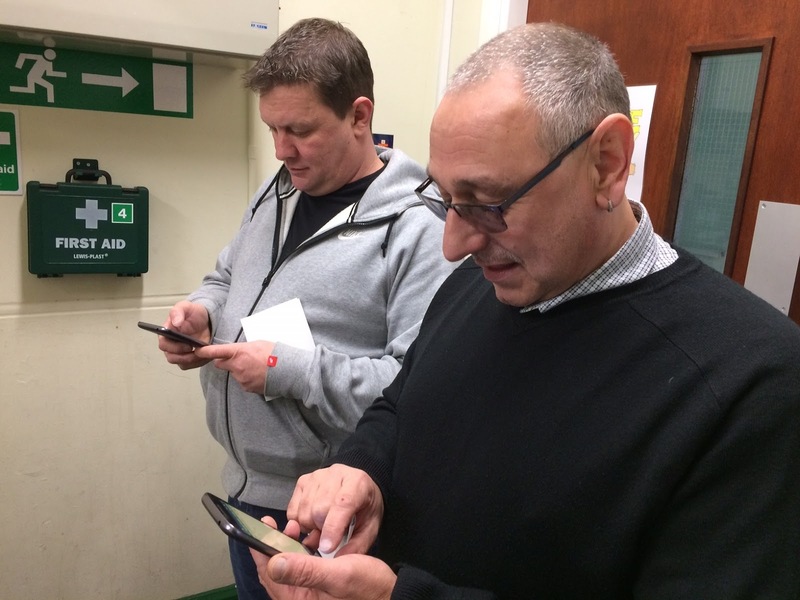 The app enables Android and Apple (iOS) users to perform many of the functions of asbestos software Alpha Tracker - all from a smartphone or tablet. Once we have approval from Google & Apple and the app is in the app stores, we'll be in touch. Thanks again to our beta testers for their help in bringing the app to market. 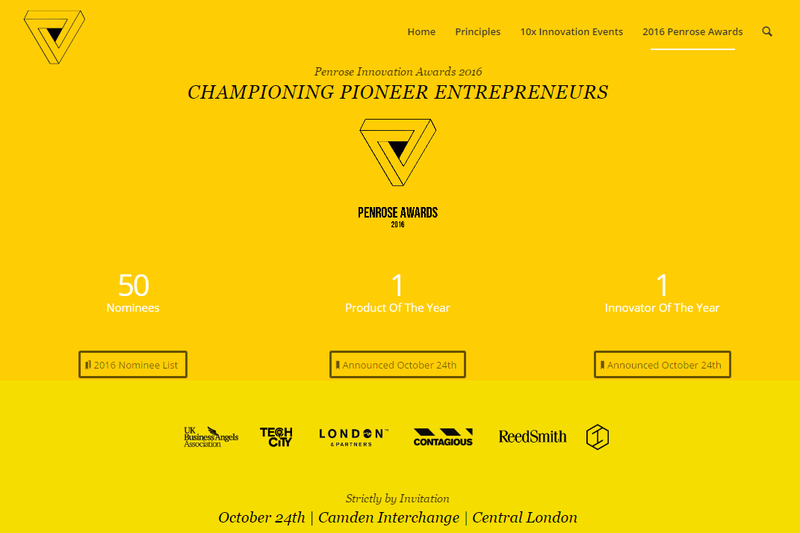 The nominations for the prestigious Penrose Innovation Awards for 2016 have been announced and we're delighted to confirm that Start Software partner Asbestoprobe is one of the nominees. Asbestoprobe has been nominated in two categories - Innovator of the Year & Product of the Year. 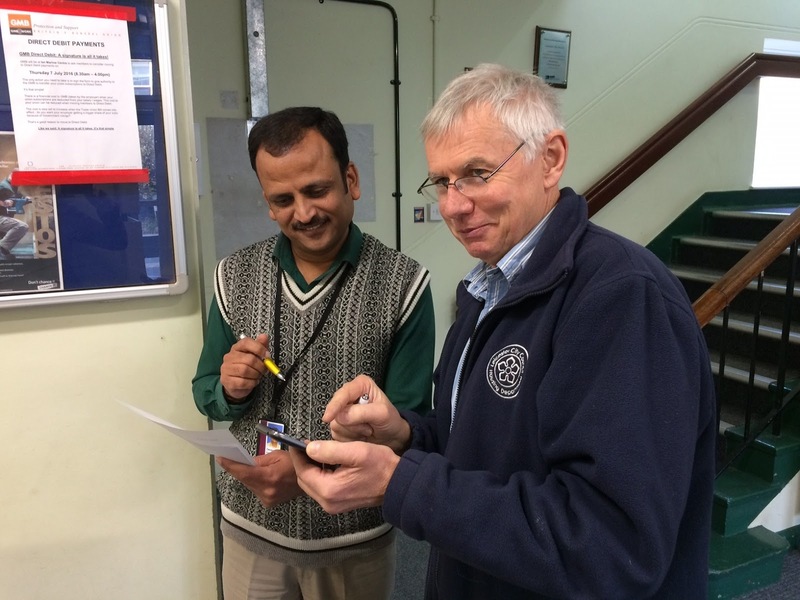 Last year's winner, What3Words, received worldwide publicity after winning the award. 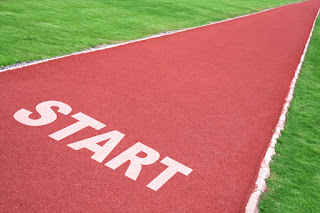 Start Software is bring its experience of the asbestos industry (more than 25,000,000 items of asbestos captured generating approx. 500,000 asbestos reports in asbestos software Tracker and Alpha Tracker) to the Asbestoprobe project. 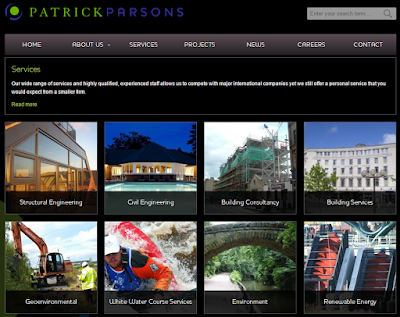 Hot on the heels of our new local rate UK number - 0333 301 1010 - is our new website which is starting to take shape. 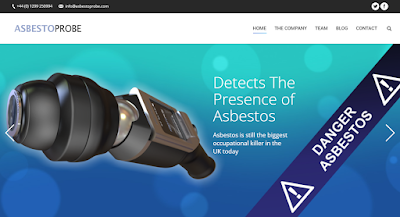 The new site is better designed, is completely "mobile friendly" and will contain lots more information about our software for asbestos consultancies, Alpha Tracker, and our software development services. 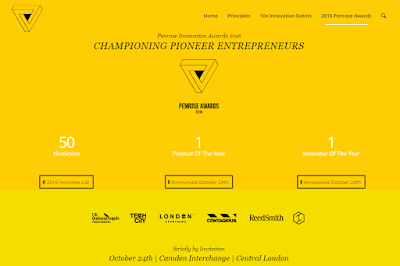 The site is still in development but you can see where we are heading with it. Expect to see the finished version later this month. It looks like the holiday season and our time at the Boston Alpha Devcon (see http://robinbennett.blogspot.co.uk/2016/09/start-software-at-alpha-softwares.html) have had a small impact on our support performance. Over the whole of September, we solved 93% of urgent problems on time and 89% of all problems. That's not bad but not quite as good as normal. 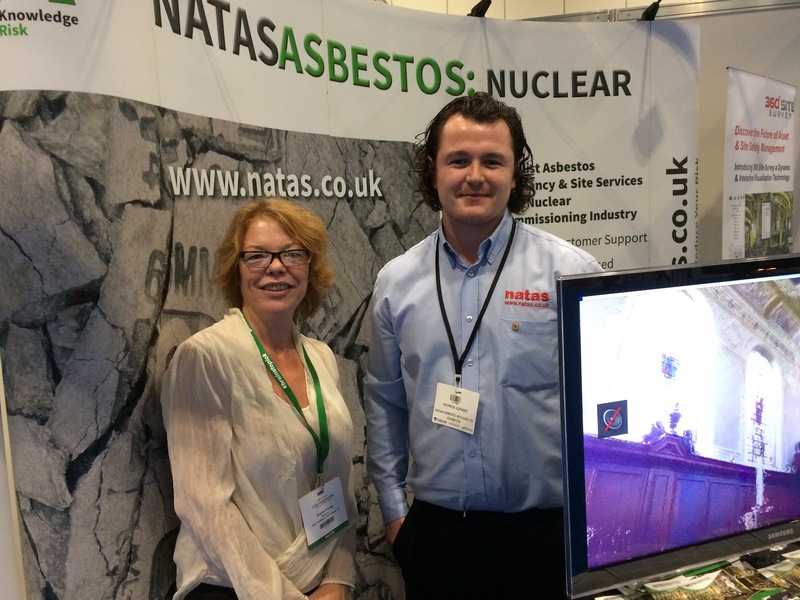 We'll be looking to get the stats back up again for our asbestos software customers in October. 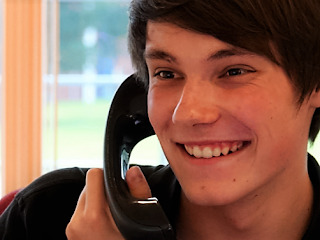 To celebrate our 10th birthday (see http://robinbennett.blogspot.co.uk/2016/09/our-10-year-anniversary-celebration.html) we've invested in a new local-rate number to save our customers money when calling us for support. 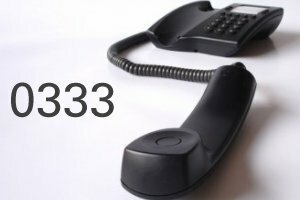 The new number is 0333 301 1010 and is live today. The old 0845 number will continue to work for the rest of 2016 but please update your phones and address books with the new number as it will save you money when ringing us.